Villa Meribel | beauty of the High Tatras and comfort of a home below the Lomnický peak (Lomnický štít). Villa Meribel built in the Art Nouveau style by László Magyari, important prosecutor from Budapest, during the period of so called "Belle Epoque" (in English: "Beautiful Times") has been reborn after a very sensitive renovation that preserved its original historical elements. 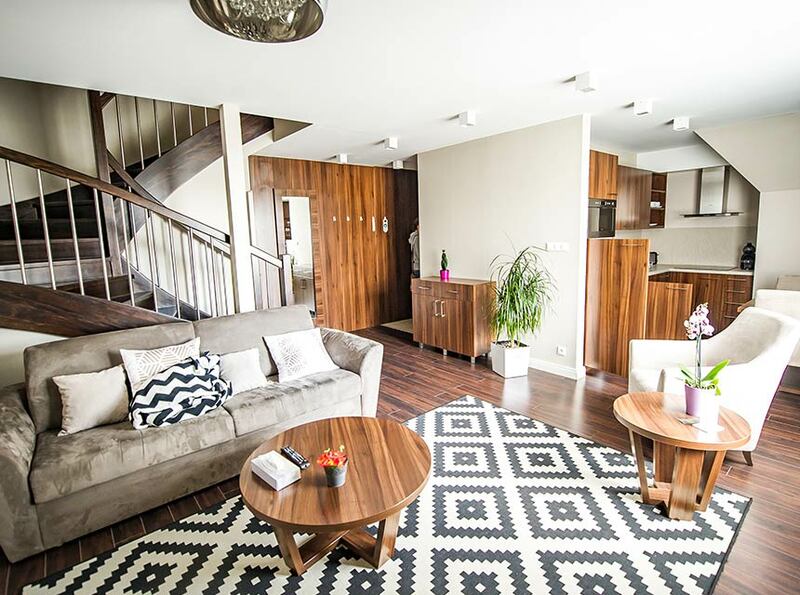 The exceptional villa is situated in the heart of the High Tatras, in the very centre of Tatranská Lomnica, not far away from the aerial tramway station from where you may go to Skalnaté Pleso (a mountain lake) and Lomnický Peak (Lomnický štít) or to a ski centre. 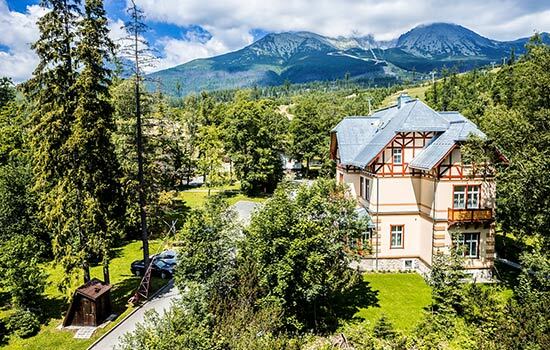 Villa offers 8 marvellous large-area suites on three floors with amazing views of spectacular peaks of the High Tatras. 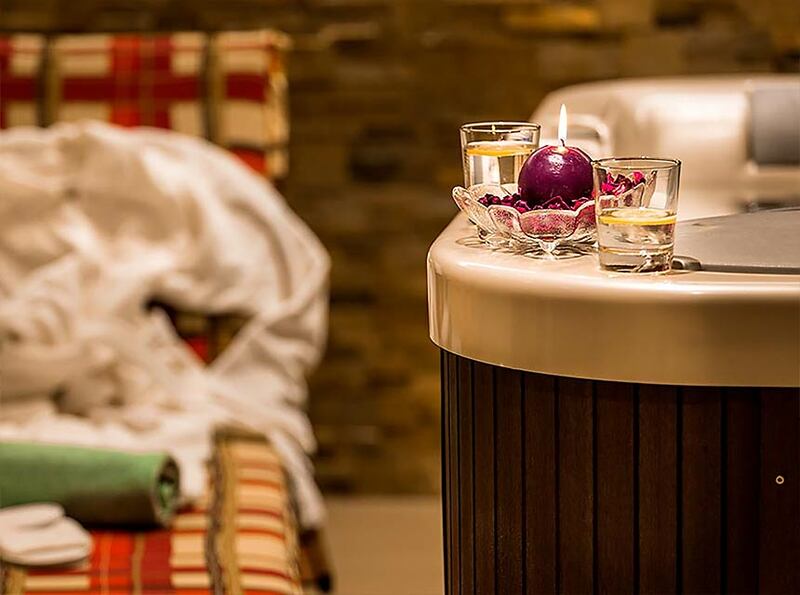 For an additional fee, you may order private wellness centre Meribel Oasis with saunas and jacuzzi. You will definitely appreciate the perfect peace, quiet, and relaxation that it offers after hiking or skiing. 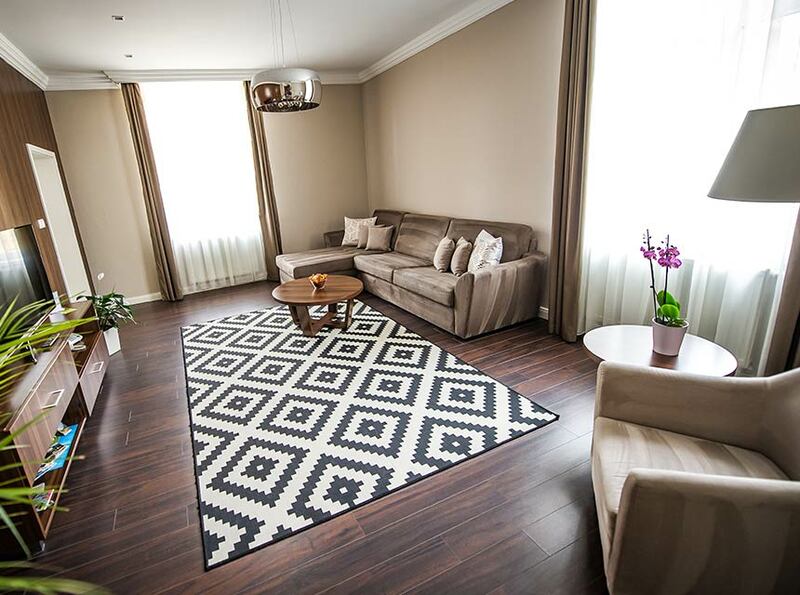 A perfect place for your holidays in the High Tatras. 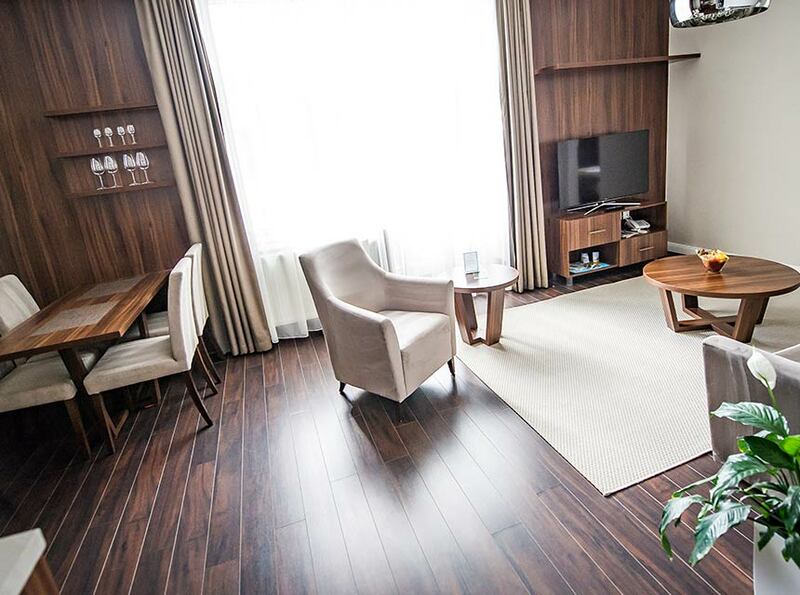 The clean and spacious suites are luxuriously furnished to make your holidays amazing and unforgettable. The suite with area of 56 m² is situated on the 1st floor (capacity 2+2) and features a separate bedroom for 2 persons with a king-size bed, luxurious kitchenette, and a living room with a large-screen TV set and a comfortable foldable sofa. The suite with the area of 61 m² is situated on the 1st floor (capacity 2+2) and features a fire-place, separate bedroom, luxurious kitchenette, and a living room with a large-screen TV set and a comfortable foldable sofa. The suite has a marvellous winter garden where you can read undisturbed while enjoying your morning coffee. 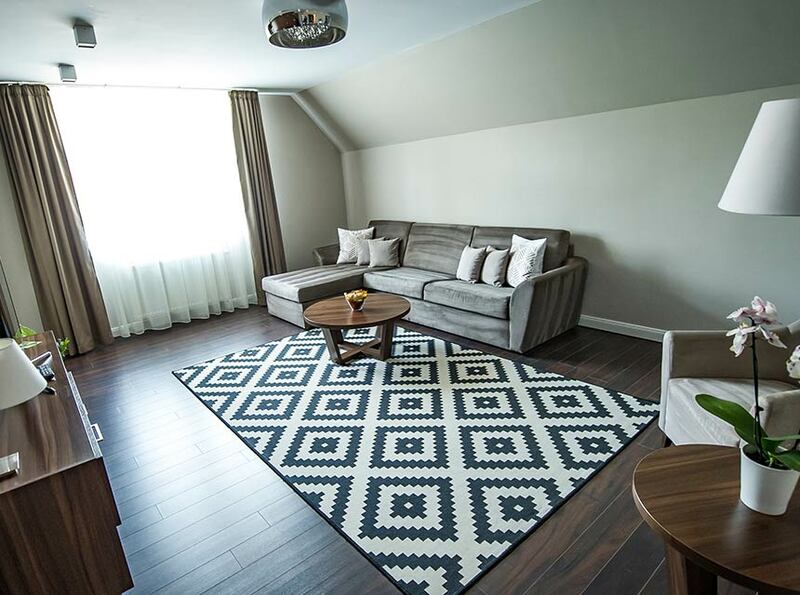 The suite with the area of 57 m², situated on the 2nd floor offers you a unique view of the Lomnický peak (Lomnický štít). The suite (capacity 2+2) features a bedroom for 2 persons with a king-size bed, luxurious kitchenette, and a living room with a comfortable foldable sofa. 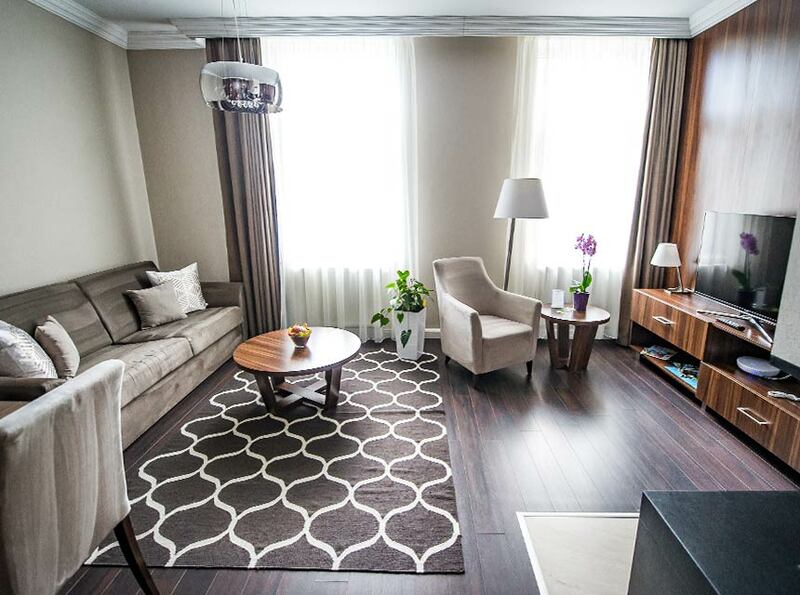 The suite with the area of 55 m², is situated on the 2nd floor with a balcony offering a unique view of the High Tatras. The suite (capacity 2+2) features a bedroom for 2 persons with a king-size bed, luxurious kitchenette, and a living room with a comfortable foldable sofa. The suite with the area of 55 m², is situated on the 2nd floor (capacity 2+2) and features a balcony and a fire-place with a nice smelling basket with wood. It offers a bedroom for 2 persons with a king-size bed, luxurious kitchenette, living room with a comfortable foldable sofa, and a luxurious dining area. 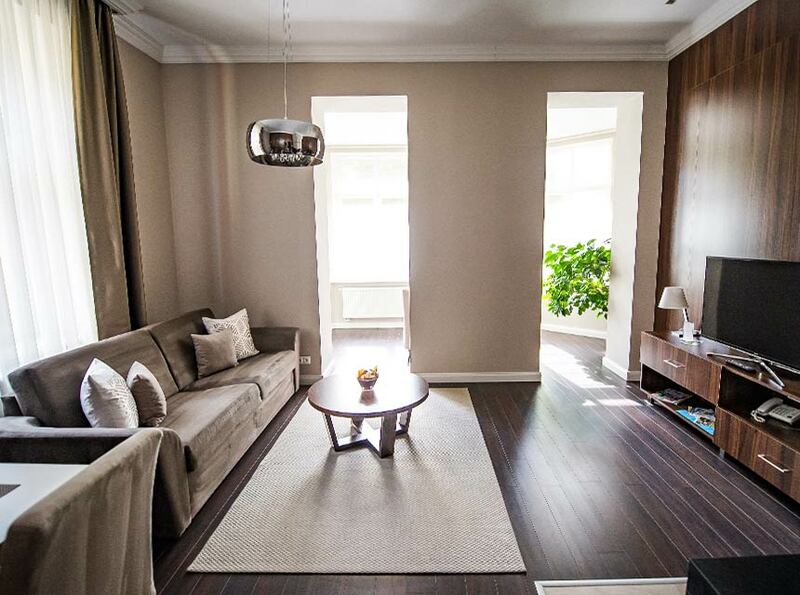 Large-area maisonette with the capacity 4+2 and area of 70 m², is situated on the 3rd floor. It features a living room with a comfortable foldable sofa, 2 bedrooms - one with a king-size bed and the other one with two separate beds, 2 bathrooms, luxurious kitchenette, and an elegant dining area. A large-area maisonette with the capacity 4+2 and area of 70 m², is situated on the 3rd floor. 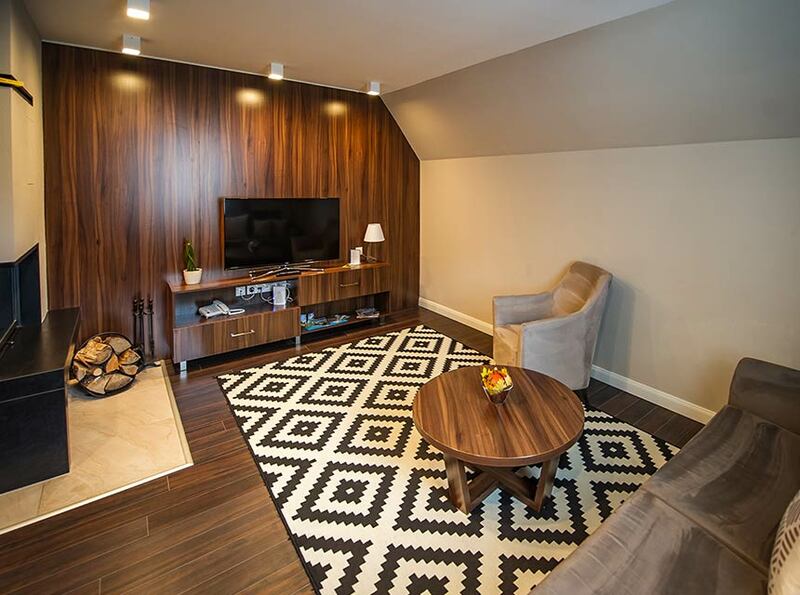 the suite features a fire-place, mezzanine floor with a home library, living room with a comfortable foldable sofa, 2 bedrooms, 2 bathrooms, luxurious kitchenette, and an elegant dining area. 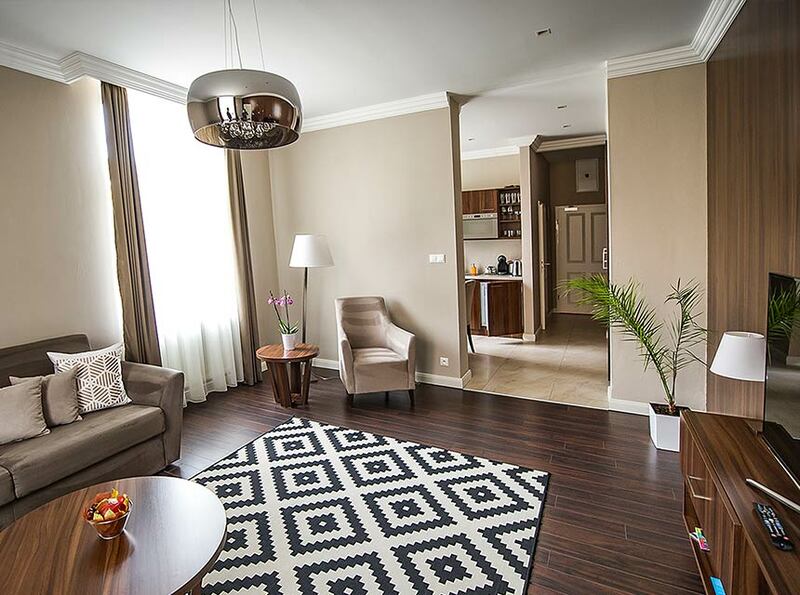 The largest maisonette with the capacity 5+2 and area of 93 m², is situated on the 3rd floor. The suite features a discrete little chamber, 2 bedrooms, 2 bathrooms, living room with a comfortable foldable sofa, fully equipped luxurious kitchenette, and an elegant dining area. Let yourself be pampered. It is our pleasure to make your stay with us as nice as possible. We would like you to come back and enjoy it. We care about your pleasant experience and perfect relaxation while you are staying with us. 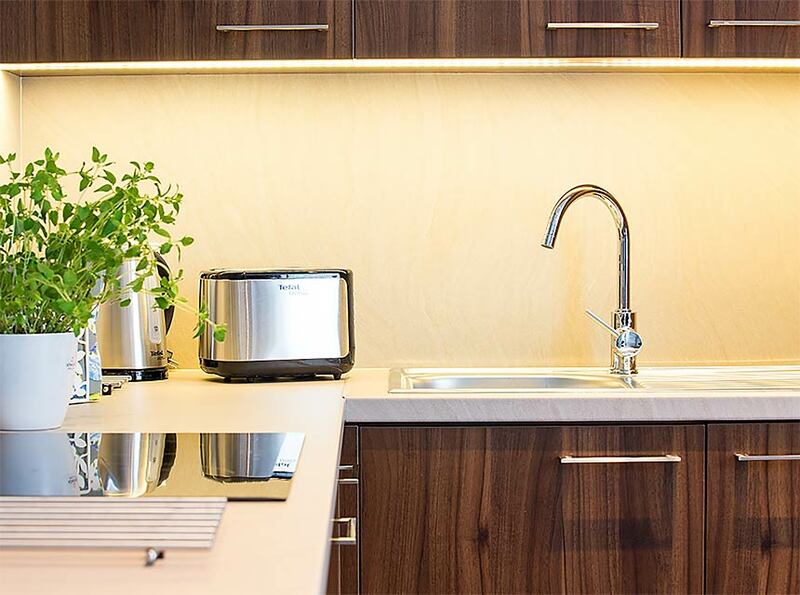 Each of our suites offers a fully equipped kitchenette featuring a fridge, microwave oven, kettle, ceramic hob, all kitchen utensils, toaster, coffee maker and a cosy dining area. After a long day spent on a ski slope or hiking in the High Tatras you will certainly appreciate our ethereal private wellness centre Meribel Oasis that will meet all your expectations. Finnish sauna with an ice bucket, steam sauna, and jacuzzi will please your senses and help you relax. Wellness centre is to be booked in advance and is subject to a fee - 2 hours/40 €.